Mary Love (born Mary Ann Varney; July 27, 1943 – June 21, 2013), was an American soul and gospel singer, and Christian evangelist. After the 1980s she was known as Mary Love Comer. Love was born as Mary Ann Varney (or Mary Ann Allen, according to some sources), in Sacramento, California to a single 16-year-old mother who married her father shortly after giving birth. At three months old she was attacked by her father with a broken bottle, an event so traumatising her mother fled from their home. Injured and suffering from malnutrition, dehydration and pneumonia, Mary was rescued by her grandmother. But at the age of seven her mother reclaimed her and took her to California for a life Mary later called “a horror to my soul”, as her mother moved from one abusive pimp to another. A brief spell with her father brought no relief and ended when he tried to sexually molest her. She fared no better under foster care where she was raped by a preacher and tried to take her own life on more than one occasion, but her family moved to Los Angeles when she was still a young child. 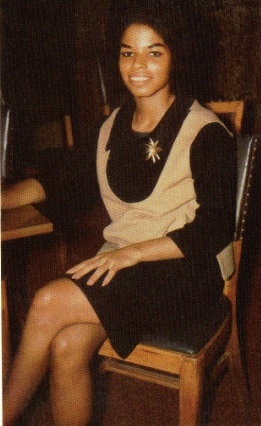 She sang in church and when she got out of High School she met and became friends with a member of the group, The Vows. Mary began rehearsing with the group and they worked together with Mary taking a major vocal role. They secured a booking at the California Club and Mary was asked to go along to perform a song they had worked on together. She did this and J.W. Alexander, Sam Cookes manager, happened to be in the club. He liked what he saw and asked her to come over to a studio on Hollywood Boulevard the next day to cut some demos. This she did and it resulted in her cutting a demo with Sam Cooke of "Talking Trash" a song destined for Betty Everett and Jerry Butler. They liked the way she worked and so she was used to cut numerous demos. single "Move a Little Closer" made #48 on the R&B chart in 1966. 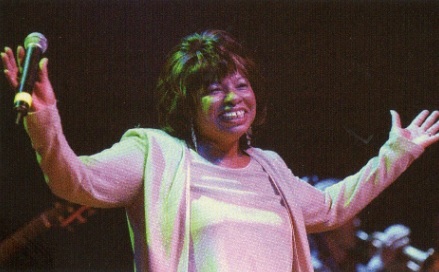 Her recordings for Modern, some of which were issued in the UK, became popular on the English Northern soul scene. 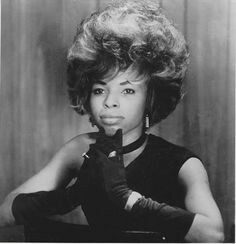 She revisited the lower reaches of the R&B chart with "The Hurt Is Just Beginning" which reached #46 for Josie in 1968, but thereafter she made few recordings for some years. Despite her achievements and superficial success, Mary’s complex and troubled life contrasts starkly with her career. Life then intruded once more as a failed marriage and addiction to both alcohol and drugs shattered her personal life and hampered her professional career. This time it took more than music to ease the pain, but she came back impressively, writing and performing. After an inevitable flirtation with disco she returned to recording religious music, devoting her life to God’s word and works. In 1984 Mary recorded “Save Me" for Eddie Garons Golden Boy Records in L. A. although it was released on the Mirage label. Shortly after this Mary began to collaborate with Brad Comer who was soon to be her husband. 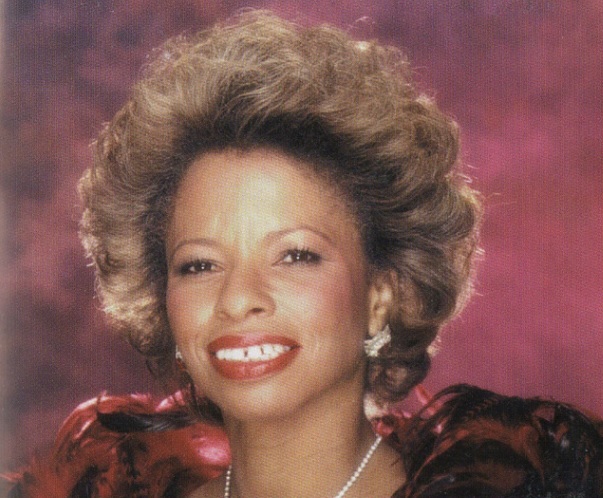 In the early 1980s, she re-emerged as Mary Love Comer, singing gospel-flavoured soul with a Christian message. Her 1980s Co-Love gospele cordings were of such quality that they were partly responsible for rejuvenating the modern soul scene in the UK, where ‘Come Out Of The Sandbox’ and ‘The Price’ became indispensable for lovers of inspired black music of any genre or period. Love followed through this success with trips to the UK and Europe in the 1990s. With her husband the couple also ran their own church in Moreno Valley, California. An album of her material, Now and Then, including some old unreleased recordings, was issued in the UK. She made special appearances onstage at the Jazz Café in 2000, and at a Kent Records anniversary show in 2007, both in London. Sadly, her final years brought more trauma; her husband left her and she suffered from ill health, before finally she died on June 21, 2013, at the age of 69. Here's Mary live at a Cleethorpes soul weekender. A big thank you to The Rockin’ Bandit for original post. 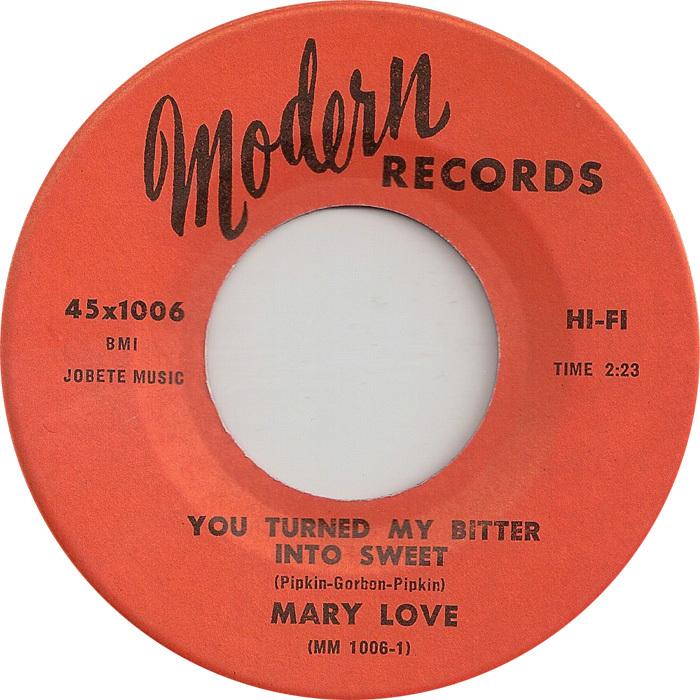 Mary Love's music was the foundation of the Kent label, opening the first two vinyl LPs, the first 45 and the first Various Artists CD. All her crucial Modern sides are gathered here along with the highlights of her later career. 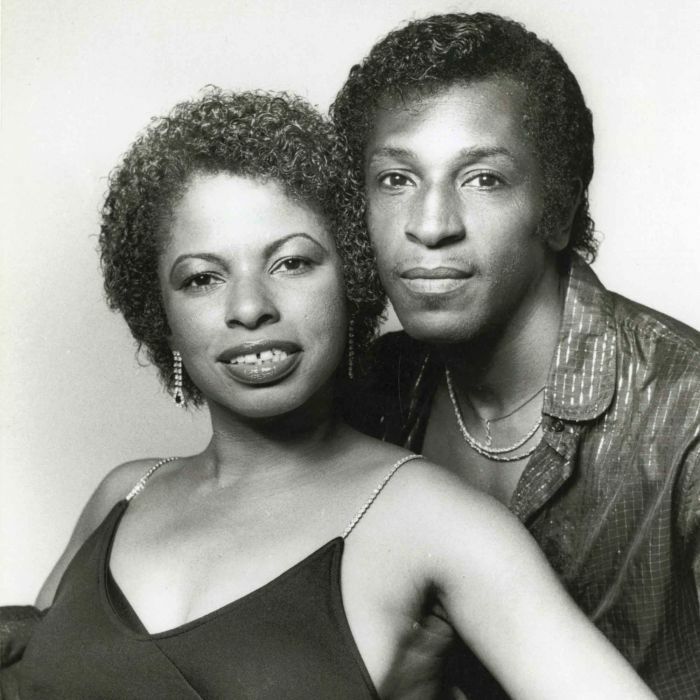 Both sides of the wonderful Elco 45, her two tracks from the Dolemite film soundtrack and both sides from the Hill/Josie single augment that first mid 60s burst of creativity. The cream of the 80s Co-Love spiritual tracks are also included. That was another prolific period for her: tracks like Sandbox and The Price are indispensible for lovers of inspired black music. 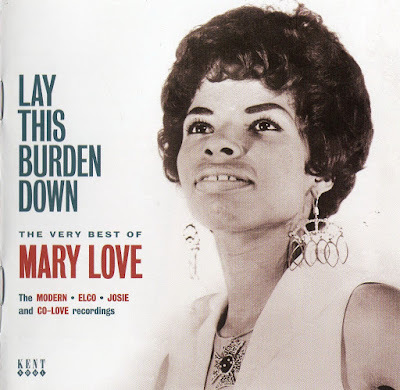 There is a detailed sleeve note covering Mary's life and some previously unseen photos of great quality and style. A new compilation by Ady Croasdell that replaces Kent's older, long deleted CDKEND 109.